Greetings to all Georgie D. Tyler Middle School, parents, and guardians! 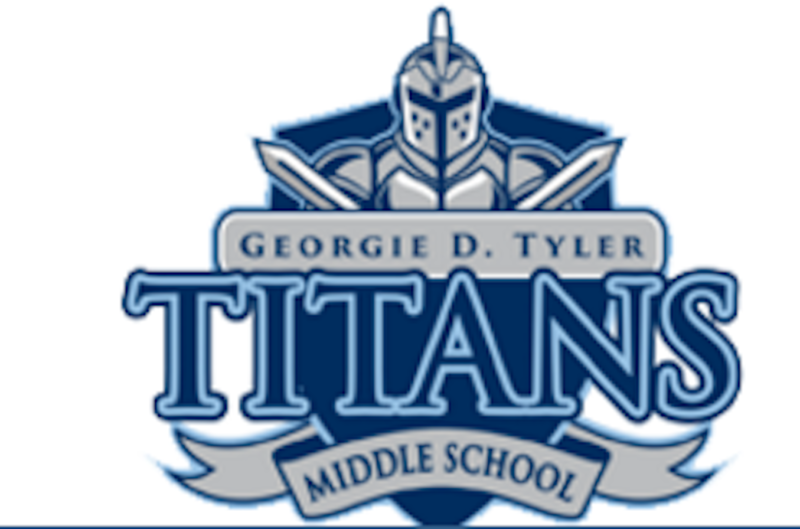 I am truly honored to continue serving the Windsor community as the principal of Georgie D. Tyler Middle School. I am excited for the opportunity to work with our returning students, as well as meet our rising 6th graders; it is going to be an amazing school year! I hope everyone has found time to enjoy a relaxing summer. I would like to welcome our new Assistant Principal, Mrs. Kristen Wilkins to the Titan family. She is coming with a wealth of instructional knowledge. Student schedules will be distributed during Open House on Wednesday, August 29th, 2018, from 4:30pm to 7:30pm. Students’ names and homeroom assignments will be posted in the main office; upon visiting his or her homeroom teacher, each student will receive his or her full schedule. Forms to change student schedules will be located in the main office. Changes will not be made after the first week of school. If you have not already done so, please sign up for PowerSchool Parent Portal. This will allow you to review your child’s grades and academic progress throughout the year. More information can be found on the division website (http://www.iwcs.k12.va.us/apps/pages/powerschool) or in our school’s main office. If you do not yet know your child’s login information, you will receive it in a letter which will be sent home the first week of school. All Back to School forms are located on PowerSchool Parent Portal and must be completed electronically. Lastly, a reminder to all parents of rising 6th Grade students – students must have Tdap boosters prior to attending the first day of school. Please bring medical documentation that your child has received the shot, including the date and signature of the physician or registered nurse to the main office or school nurse prior to the first day of school. Our mission for ALL students, in cooperation with our families and our community, is to create a learning environment that will enable every child to discover his or her unique gifts and talents. To accomplish our mission, your partnership with the school and support of our teachers is essential. Once again, welcome back to another amazing school year!